Most Americans are in the throes of summer Olympics fever as the games are well underway in Rio de Janeiro, Brazil. If you want to do some reading between events, we have your real estate news covered. From 20 Olympic quotes to inspire you to do and be better, to how to make sure you make a good impression at your next real estate networking event, we’ll help you put forth your gold medal best. Still using a personal photo on your business cards? Is millennial homeownership on the rise? Just how affordable are U.S. homes? Those and other burning questions are all answered in this week’s wrap-up of the market. Do you have a headshot on your business card? Unlike many professionals, a lot of real estate agents use photographs on their business cards, but is this a good idea? Experts weigh in on whether or not your business card needs an update. The percentage of millennials who own homes has been pretty dismal, but the tide may be turning. Realtor.com talks numbers when it comes to trends with the millennial generation and homeownership, and the news is looking good. Love it or hate it, networking is an important part of building a solid real estate career. Inc.com has gathered tips from successful entrepreneurs to help make sure you make worthwhile connections at your next event. Few things are as inspiring as the grit and tenacity of hard-working Olympic medalists. Apply some of that can-do attitude to your own life with these stirring quotes. High Walkability Score Adds Value to Most Homes in U.S. 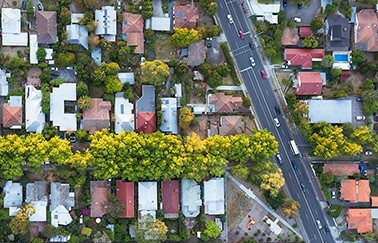 Concerns about urban sprawl, global warming, and the effects of an automobile-dominated transportation system have revitalized interest in the walkability of the U.S. housing market in recent years. Find out just how much high walkability scores add to a home’s value across the country. Home ownership has decreased in recent years to its lowest level since 1965, but the good news is that research suggests many renters earn more than enough income to buy their own home in many metro areas. Read more about a recent study by the National Association of Realtors.